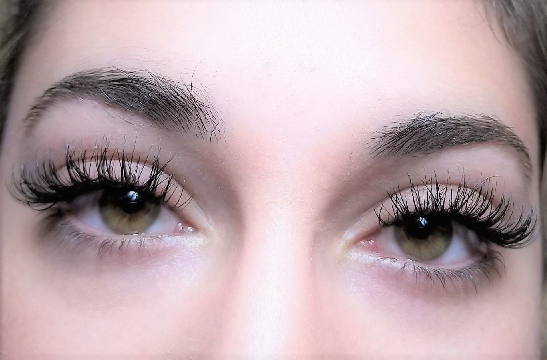 Lash extensions can provide the added natural appeal of your most volumizing mascara without any effort in your morning routine. We stocked many highest quality lashes and medical grade adhesives to ensure that our clients get the best quality lashes, natural rich-looks, feather lightweight for comfortable wearing. Upgrade to Silk or Faux Mink eyelashes for only $10. 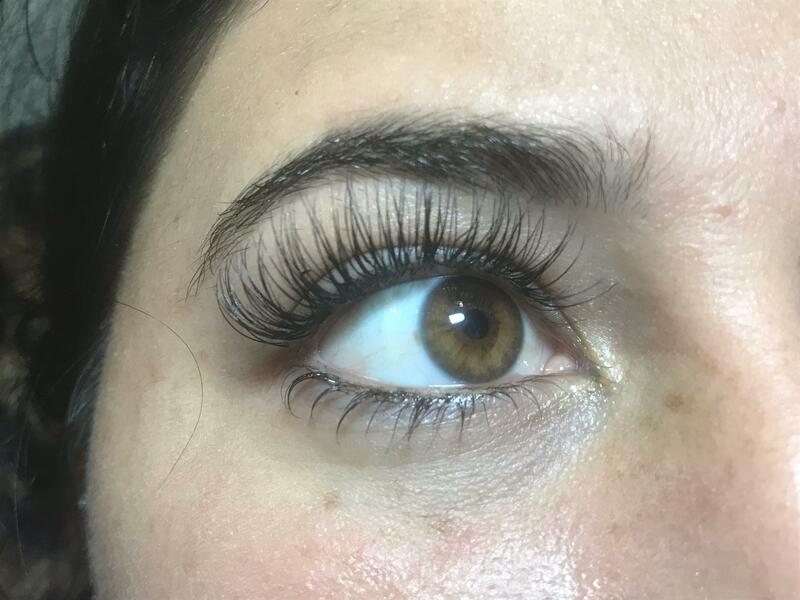 Addon lower eyelash extensions for only $60. To keep your eyelashes looking full and beautiful, it will require a touch-ups or refills every 2-3 week. 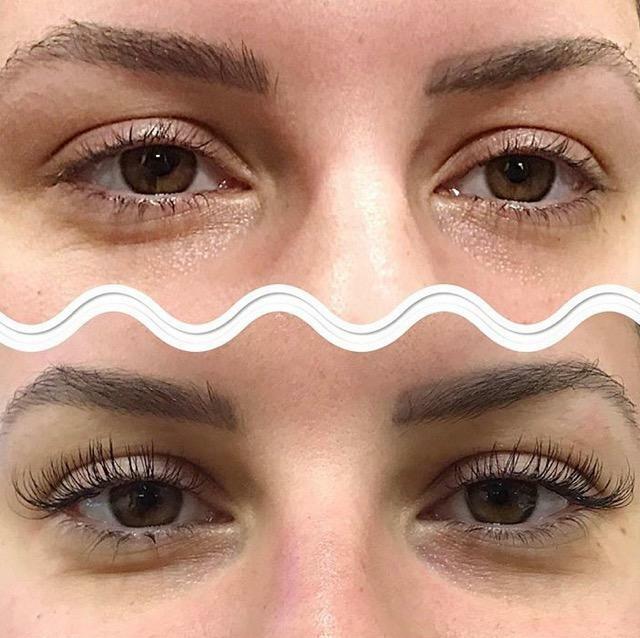 This is a process of adding eyelash extensions to those new eyelashes that have reached to 5 – 6 weeks of eyelash life cycle. With proper care and maintenance, you can have the lashes lasting longer. 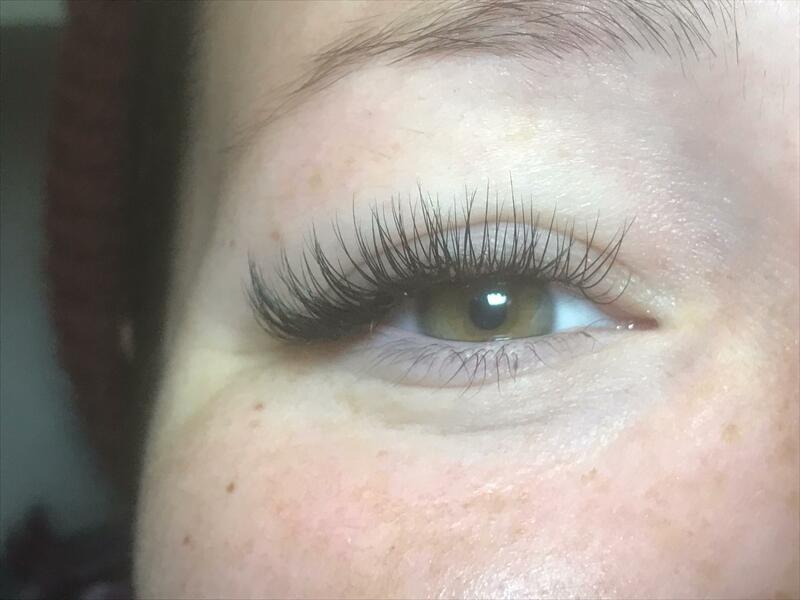 We recommend to put on a new full set when your current eyelash extensions reaching 5-6 weeks olds. We recommend this is the time for the new set. However we try to refill them, If they are refillable. KINDLY NOTE TO ALL OUR CLIENTS: It is important to go over the follow instructions before and after the eyelash extensions application. 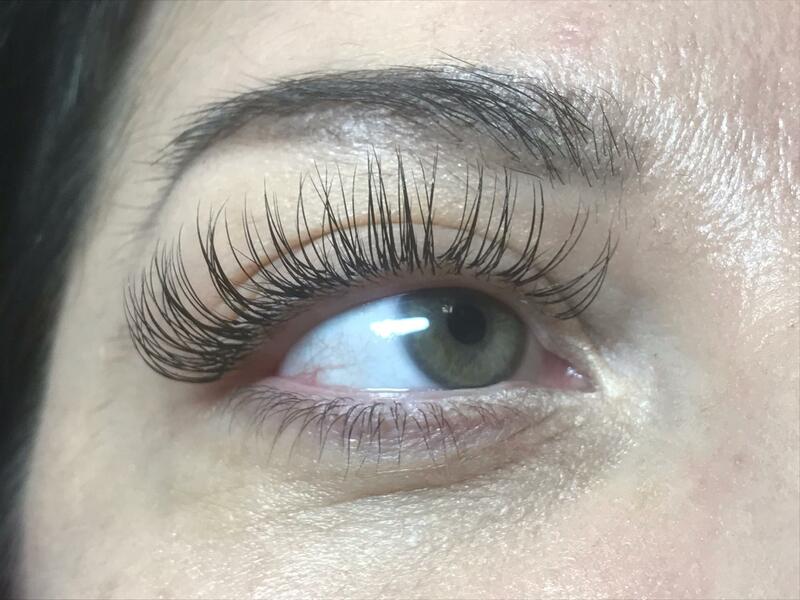 It would help smooth eyelash extensions application procedure, to get it done within the schedule time frame and your lash extensions stay last longer. Do not wear eye makeup – Makeup close to the eye area must be removed prior to the application process. Use a mild, oil-free cleanser. Do not use oil-based makeup removers. What should I expect from the start through the end of the session? On your arrival, the first thing you’ll be required to do is complete a short form of Client reference. We’ll look into your requirements and expectations after a thorough assessment. You will lay on a soothing swivel-type treatment bed and close your eyes. It is strictly advised that you remove all eye makeup before your appointment. If you are unable to do this before your appointment, we’ll have to start with this before the procedure begins. A small under-eye pad will be used to protect your lower lashes. Every non-natural lash will be soaked in a bonding solvent that has a medical grade quality and then applied to each eyelash. 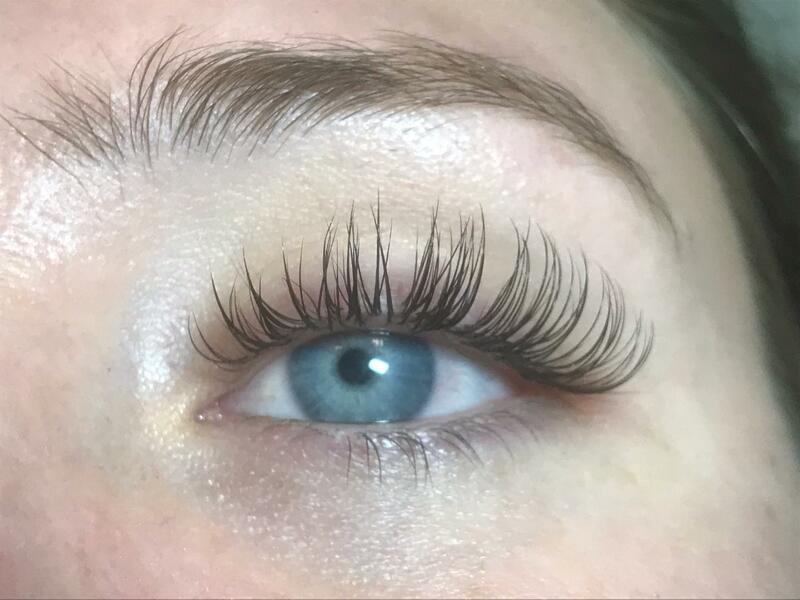 The choice of lash length and the quantity used is determined by the client’s requests, and the thickness and health of the natural lashes. The whole procedure often takes between 90 to 150 minutes for a complete set. Fills take between 30 to 90 minutes. * Please, remove all eye makeup by using a gentle, non-oil-containing cleanser. Eye makeup affects the adhesive bond and reduces how long your eyelash can last. * If you’re wearing contact lenses, remove them. * Wear clothing that you’ll be comfortable in. A blanket will be available if you feel cold. * To ensure you are comfortable and to save time, go to the bathroom before the procedure. * Do not rub-on face creams or sunblock on the portion of the eyes that is to be treated. Many moisturizers contain oils that prevent adhesives from sticking to the natural eyelash and shorten the lifespan of the eyelash extensions. * Do not wear mascara. Cleaning mascara takes a lot of time and makeup that is left can obstruct the effectiveness of the extension applied. * Do not put on curly eyelashes before the appointment. 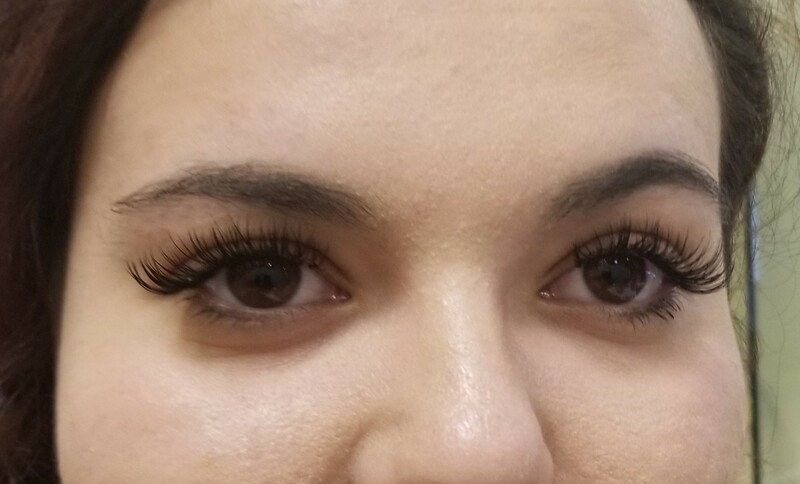 Extensions don’t fit well with wavy eyelashes. * Put your phone on the silent mode during the extension application. Communication in the treatment location is not advised because precision is required in the process. You are free to rest or listen to an audio during the extension application. 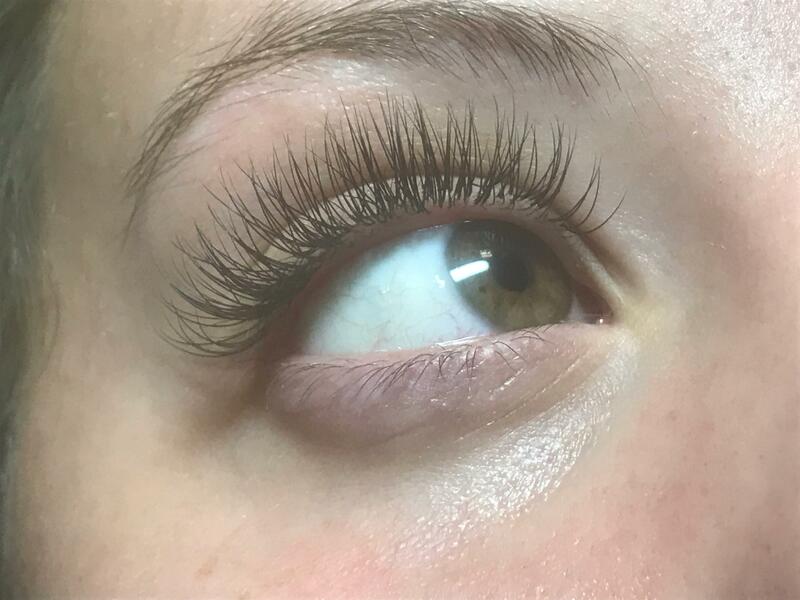 * If you currently have eyelash extensions that were not put on by us, please schedule a removal service on your first visit. It is best to prevent the harm that comes with mixing various adhesives and materials with extensions from other salons. 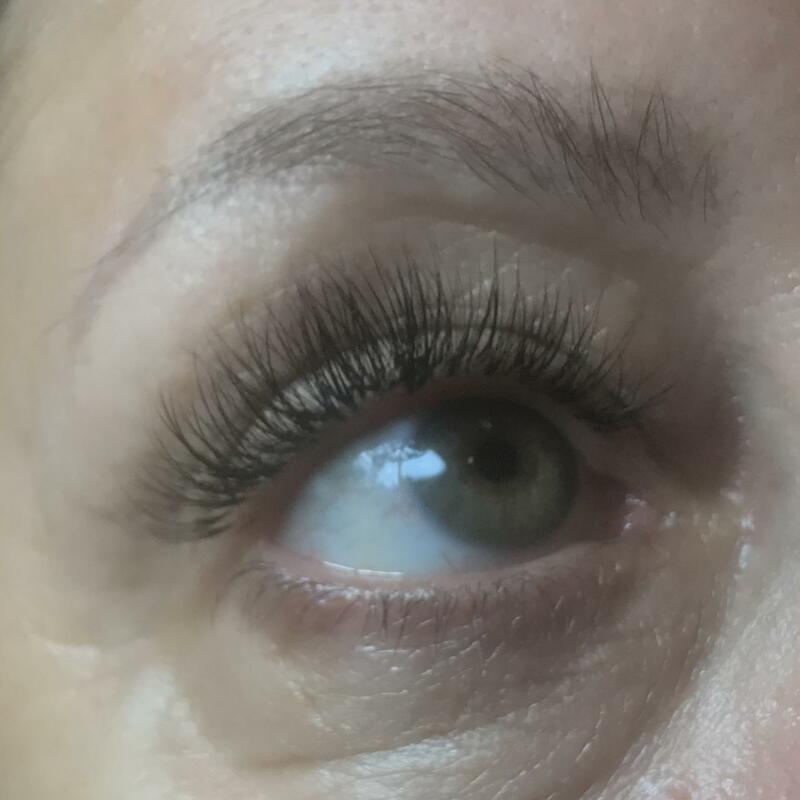 An aftercare treatment is often an easy one to undertake as adequate care will prolong how well your eyelash extensions last. * Ensure they remain dry. Don’t shower or use hot water to wash your face. Don’t wet your lashes. * Don’t go swimming and avoid places with thermal bath or heat. * Don’t use lotions or oil-containing creams around or on the eyes. * Don’t use makeups on your eyes or lashes. * Avoid these treatments on the eyes – perming, chemical treatment and tinting. * Also avoid waxing, chemical peels or the use of laser treatments on the eye area. * Don’t sleep on your stomach or your side. * You may shower or swim but ensure not to expose yourself too much to water or heat. * Be mild, never rub your eyes aggressively and don’t pull the lashes because this can both pull out the eyelashes and the extension. * Do away with oil-containing eye products or makeup cleaning products containing oils. These kinds of products weaken the bond strength of the adhesive. We suggest you use Eye Makeup Remover facial cleanser and non-lint containing applicators to remove makeup. * Using mascara will reduce the longevity of the lash extensions. You may choose to use water-based mascara that is not in excess. * Don’t use eyelash curlers. They will ruin both the man-made and natural lashes. They are the darling of many women across all ages due to their seductive beauty. They increase the allure of the natural look of your eyes, exuding radiance and youthfulness from the wearer. 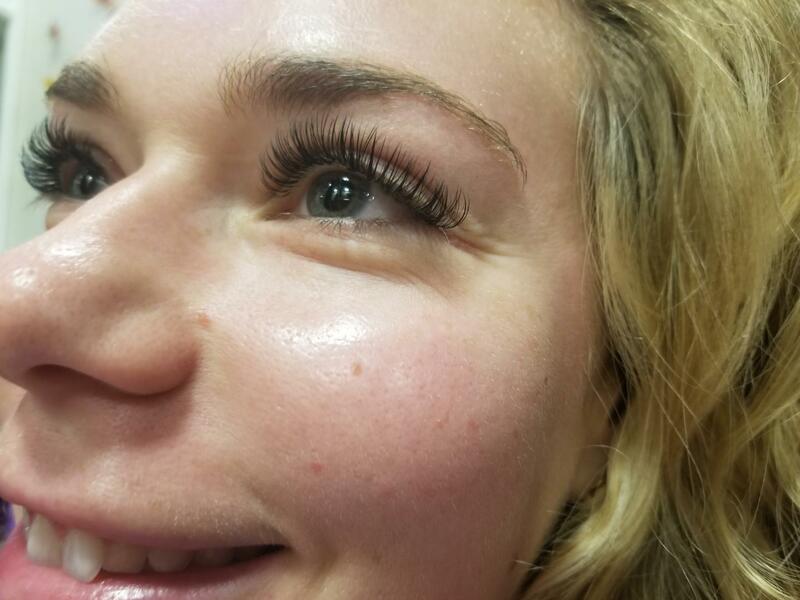 Eyelash extensions are thin strands of synthetic hairs that are fixed to the natural lashes using a special adhesive. They have a thick base and fine tips which increase the length and thickness of natural eyelashes. In addition to length, they add fullness, and help to create a more defined eye. They can be curled similarly and you will feel like they are your own. To apply them, one needs to be careful, precise and skillful. Ideally, these are done by the hands of an experienced stylist who has been trained and certified to do the job. Are extensions safe? Can they cause damage to the natural lashes? 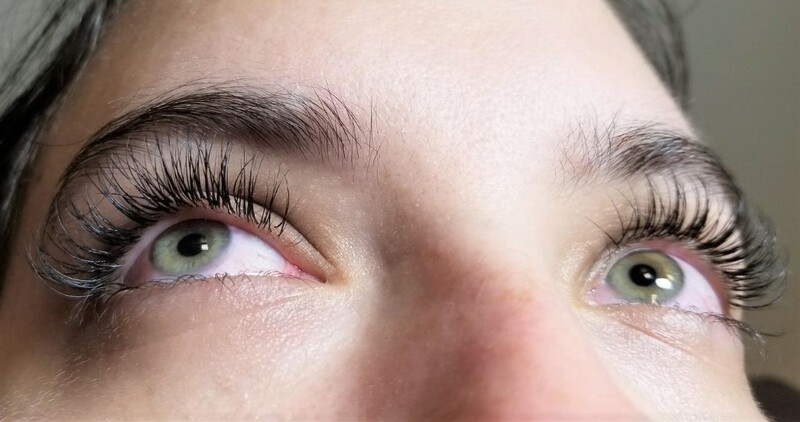 Artificial eyelashes have no secondary effects on the natural lashes. They can be glued on your real lashes rather than to your skin. It is painless and safe, but this should be done by someone with the right training. 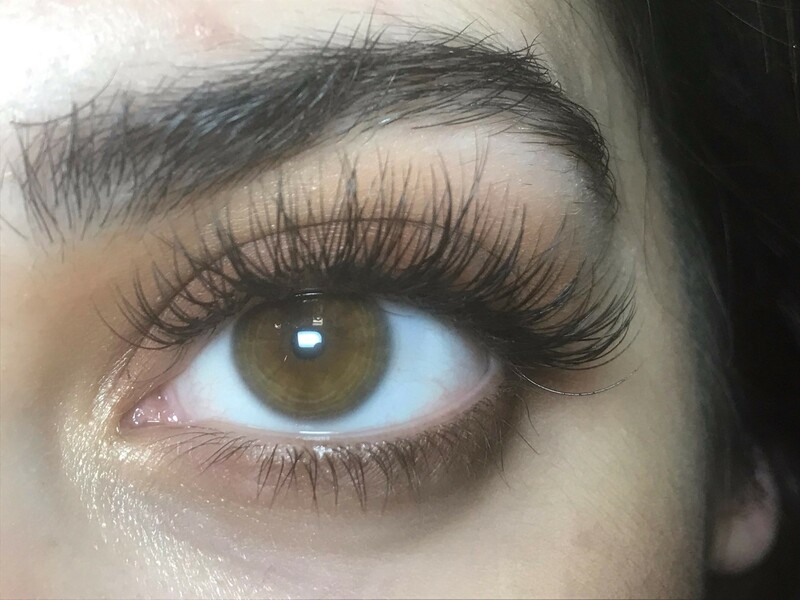 Can eyelash extensions cause my own lashes to fall out? No. They can’t. 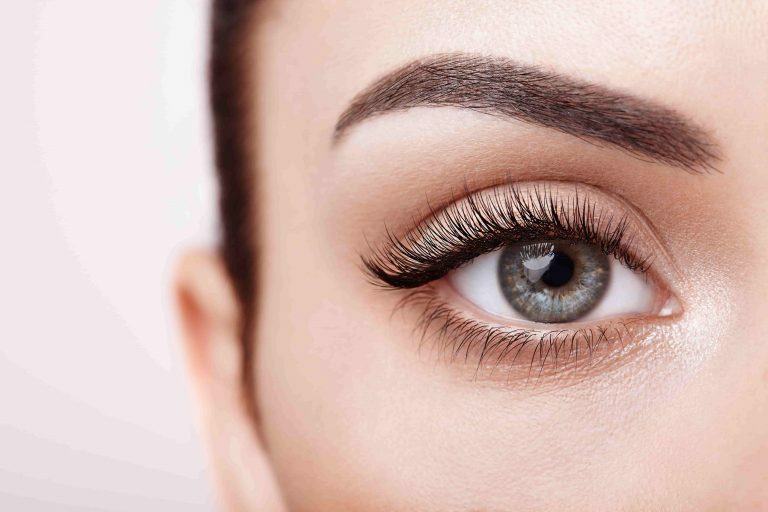 Whether our Clients have eyelash extensions or not, they need to exercise caution with their eyelashes. 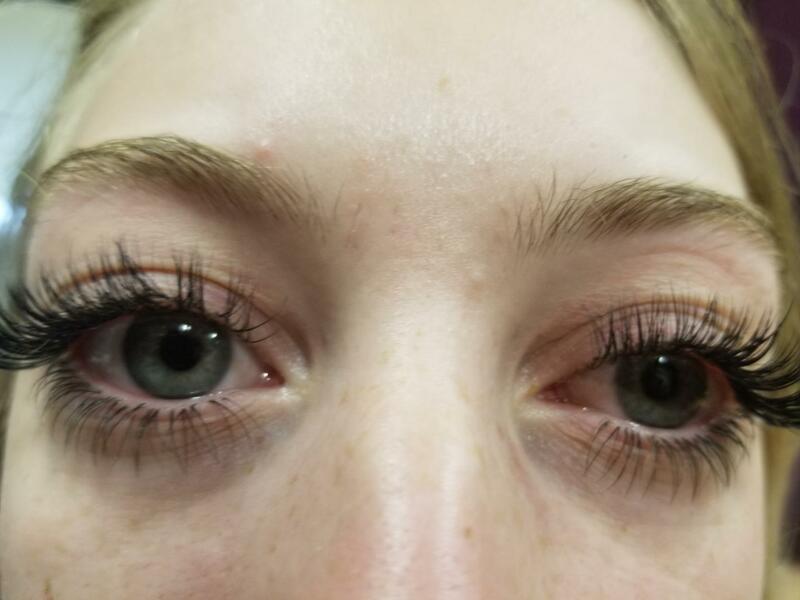 Any rubbing, tugging, or excessive pulling hard on the skin that surrounds the eyes, can causes natural lashes to fall out prematurely along with any extensions. Is there any need for an appointment? 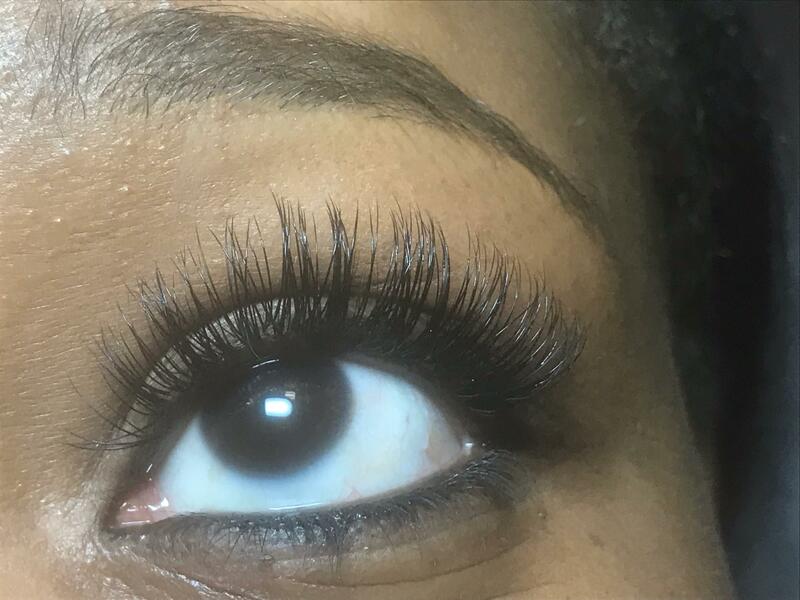 We request that everyone books an appointment for lash extensions since we often cannot guarantee to accommodate walk-ins. Schedule your appointment beforehand and be ready to honor it. This ensures that you will not need to wait long. We schedule the appropriate time needed for quality application of lashes. Is there any preparation prior to my appointment? I had my eyelash extensions done in another place. Can you still do them? No. We can’t. We will need to remove all the existing extensions before we can apply our own lashes. Since we may not have the same refill materials which was used by a third party. We do this to avoid mixing various adhesives or materials. What do you mean by refills? How often will I need them? Many our Clients loved the way their lashes look and wanted to maintain them, they need refills or touch-ups. 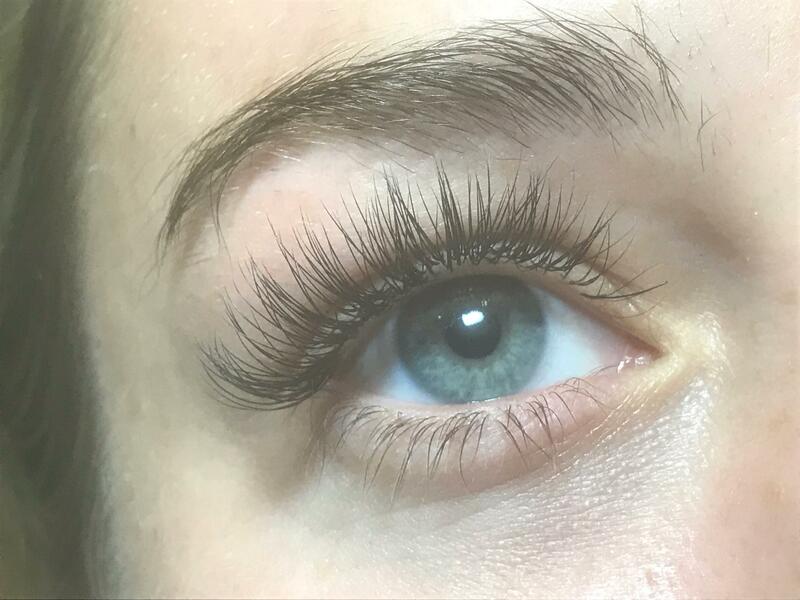 This process involves the addition of lash extensions to natural lashes that generally renew after 5-6 weeks. 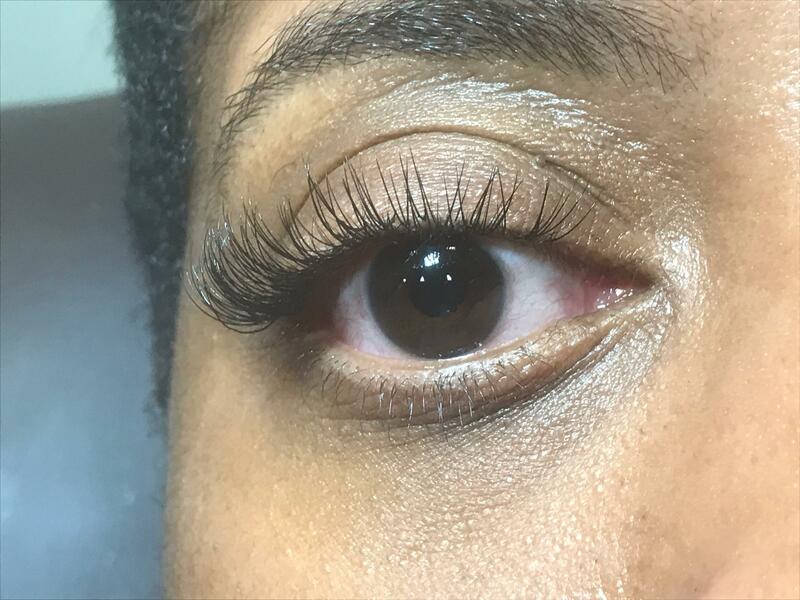 With the proper care and maintenance, lashes can be remained with the look for as long as our Clients want. It is recommended a lashes refill 2- 3 week to keep them full beautiful. 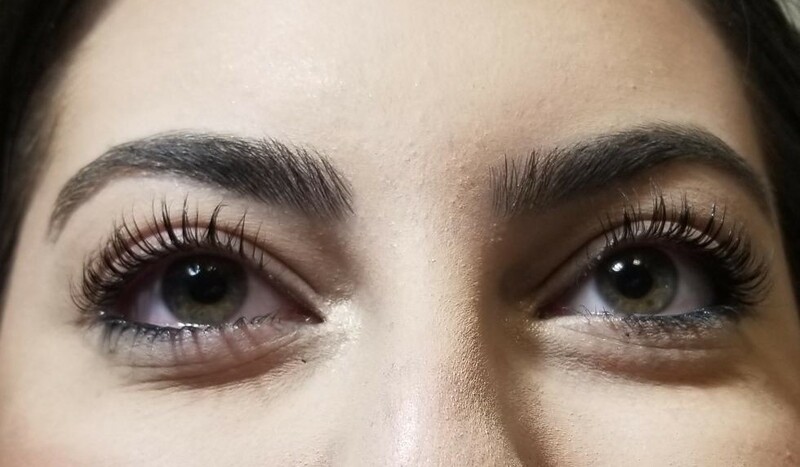 Can my lashes be affected by how I sleep? Yes. It can. Clients should not cover eyes with a mask, pillow or blanket while sleeping, the lifespan of lashes will reduce. Can an eyelash curler help to curl the lash extensions? No, because the curler will cause breakage to the extensions and the natural eyelashes. Can I remove the extensions? Yes or No. 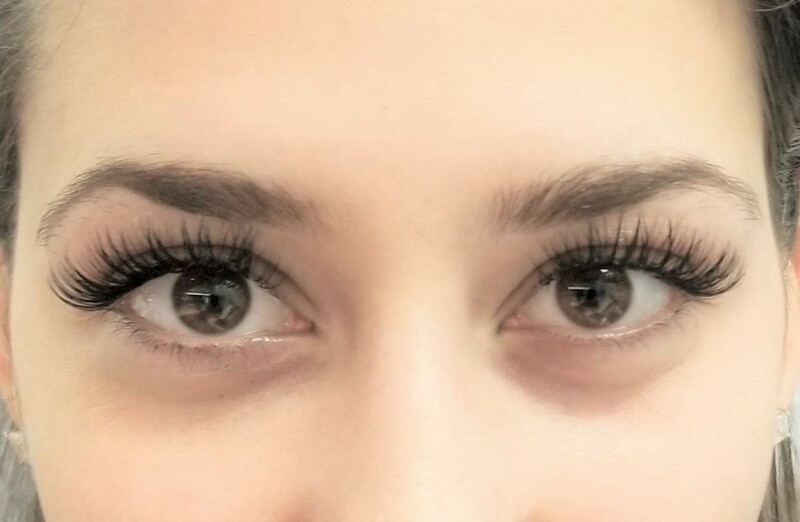 The Eyelash Extension Stylish you choose can remove them easily if you want or need them removed. The stylist will use a special remover formulated uniquely, and the removal process is not painful, lasting less than half an hour. 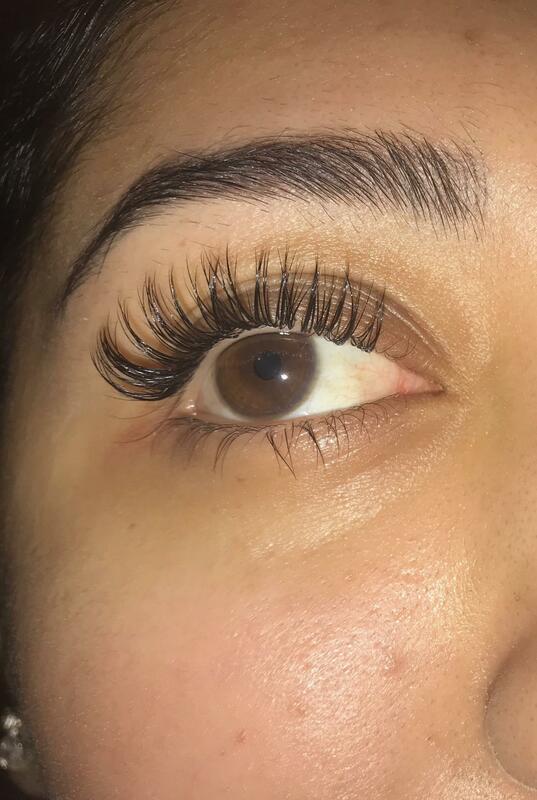 It is not safe to remove them on your own since you may damage your natural lashes. What is the lifespan of my extensions and what can be done to extend it? The growth cycle and type of our hair is genetically predetermined, together with factors such as health. 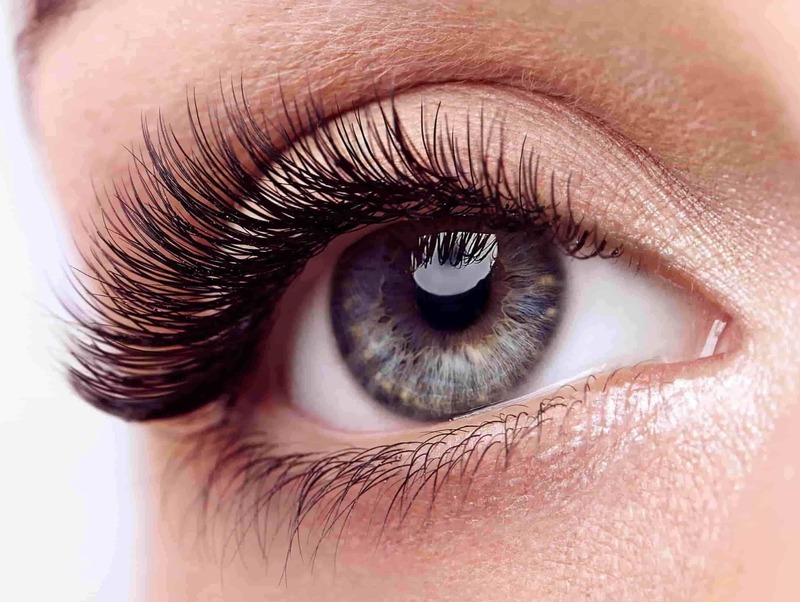 Generally, natural lashes have a growth cycle of 2 1/2 to 3 months over three phases. Everyone has a unique hair growth cycle, and each eyelash enters any particular phase at different times. Once the natural lashes are mature and ready to fall off, new lashes have already begun to grow. 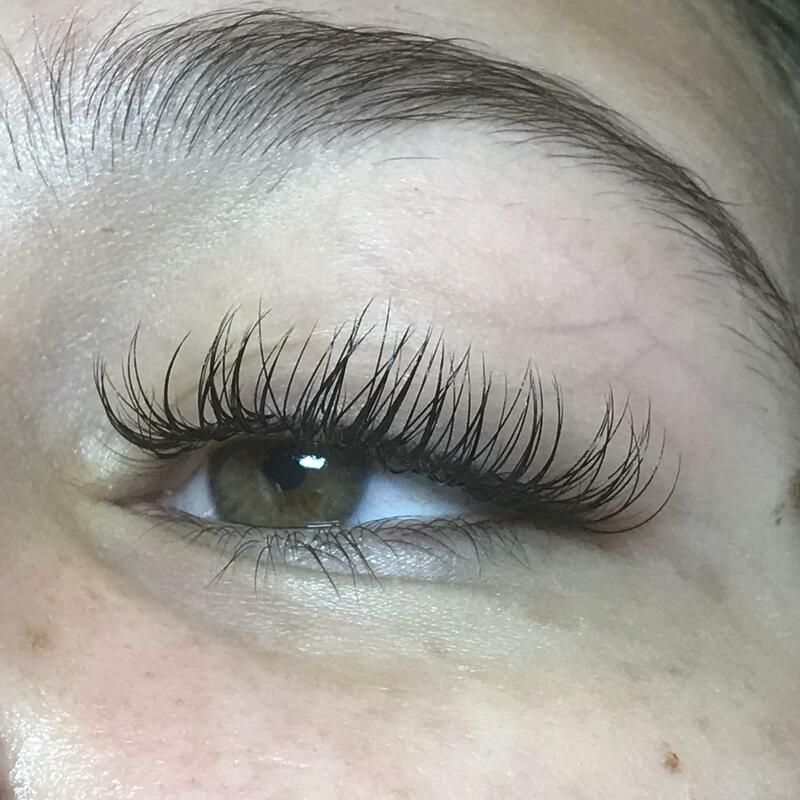 We apply lash extensions to the lashes that are in the middle of the growth cycle. These can support the weight and length of the lash extension, which will be shed together with your natural lashes. 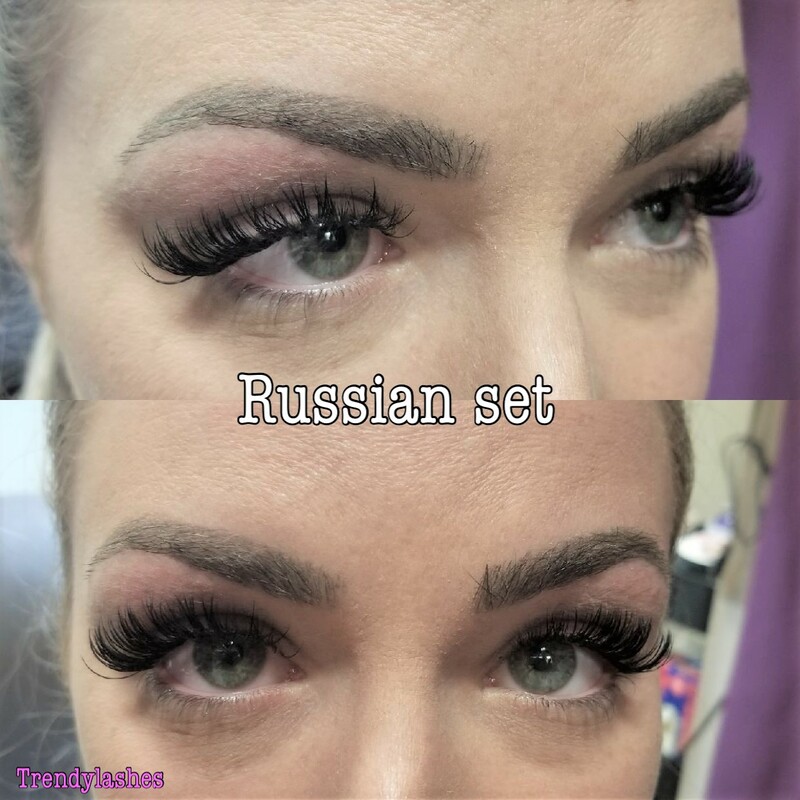 Thus your natural lashes take on a fuller appearance instantly the extensions are applied. With regular touch ups, your eyes can take on a permanent fluttery look! After you have had your appointment, don’t allow the extensions to get wet for the first 24 hours. Don’t go to saunas, steam rooms or swimming pools, to allow the adhesive adequate time to bond to your natural lashes. Do not rub your eyes vigorously, and not tug them either. Avoid oily makeup removers. Our LASH CARE GUIDE has more information on how you can take care of your lashes. 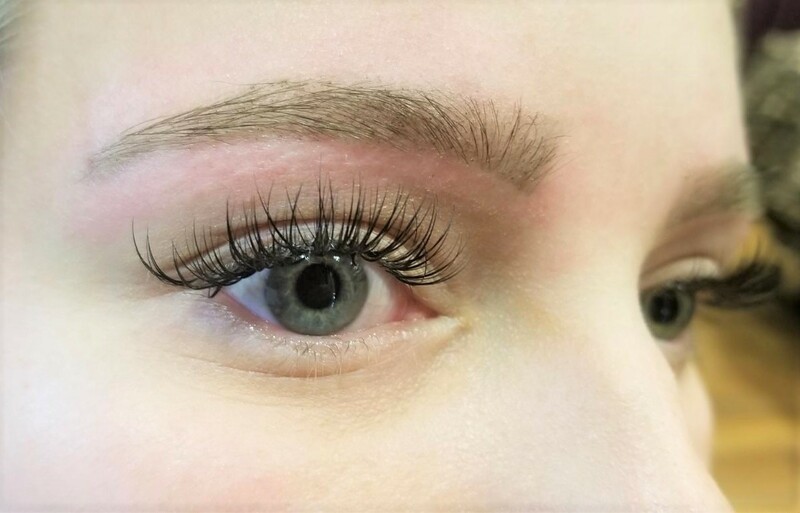 If you are careful, the lash extensions can stay for as long as the natural lashes, but we recommend regular touch ups to maintain the full lash look. Get a refill every 14-21 days to keep them full and lush. Our Post-Appointment Care page has more information. Can I wear my contact lenses during the procedure? It is recommended that you not wear your contact lenses while the lashes are being applied. As a result of having to keep your eyes closed during the procedure, you may feel some dryness and subsequent eye irritation if you wear your contacts.